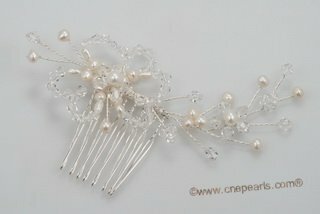 Graceful bridal comb Hand crafted with flexible plate silver wire and sparking rhinestones beads, This sparking Bridal Comb can be worn with a variety of hairstyles, and looks amazing as a side comb. The comb detailing measures and an amazing 3 inches along a 1.5inch comfortable metal comb, and approximately 1.5 inches at its widest center point. 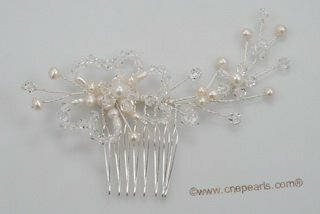 This lavish bridal comb coordinates with any style or color wedding gown.